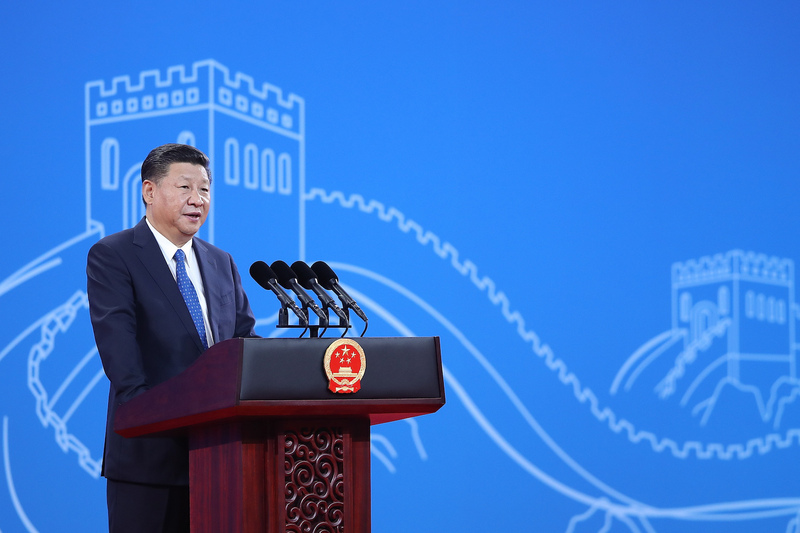 President Xi Jinping addresses the 86th INTERPOL General Assembly, themed ‘Connecting Police for a Safer World,’ at the Beijing National Convention Center, September 26, 2017. The United States also has ratified the International Covenant on Civil and Political Rights, which provides that defendants in criminal cases “shall be entitled to a fair and public hearing by a competent, independent and impartial tribunal established by law.” The United States should not limit this requirement to within its own borders. Indeed, during the Obama administration, the State Department stated as a prerequisite to negotiating an extradition treaty with China that the U.S. “must be satisfied that an individual extradited from the United States to another country would receive a fair trial . . . ” There is still no U.S.-China extradition treaty despite China’s requests, thus necessitating use of other legal channels for repatriation. Although China has not ratified the Covenant, it is a signatory and, as such, is obligated to refrain, in good faith, from acts that would defeat the Covenant’s purpose. An inquiry into the trial and punishment that criminal suspects might face upon return is fair game. Likewise, just as European countries do, China can inquire regarding the conditions awaiting fugitives sent back to the United States. Second, there are pragmatic as well as principled reasons for the United States to raise the profile of human rights in its law enforcement cooperation with China. A renewed emphasis on human rights can help mend America’s tattered moral authority in the world. The Obama administration took steps to address some of the egregious acts committed as part of the “War on Terror” and, more generally, to engage actively in the United Nations human-rights reporting process. The Trump administration has obliterated these gains. A renewed emphasis on human rights should include both protecting norms when coordinating with foreign countries and—as some members of Congress are trying to do—also improve the many deplorable aspects of the United States’ own criminal justice system. Third, and most important of all, the United States should champion human rights because it is the right thing to do. It is easy to undermine the universality of human rights when focusing on how bilateral cooperation can apprehend criminal suspects more efficiently. What too often gets overlooked is the essential point that human rights protect the fundamental dignity of all human beings, even if sometimes those human beings are accused of committing criminal acts. Law enforcement can be both effective and humane. In May 2017, Secretary Tillerson indicated a separation of policies from “our values around freedom, human dignity, the way people are treated.” Protecting the rights of the accused in the U.S.-China relationship would be a step towards rejecting a false dichotomy between values and policies, as well as reaffirming basic beliefs in the way that all people should be treated.